The once famous Cat Cay Tuna Tournament was started in 1939 and the turquoise waters of the Bahamas are considered to be the birthplace of modern sport fishing and Florida-styled boats. “Tuna Alley” as it was deemed was a stretch of crystal clear water flowing over white-sand shallows where the mighty bluefin tuna traveled. Great schools of these giants flowed through Tuna Alley for years and brought prosperity to Bimini and Cat Cay, two tiny islands in the Bahamas. They are located across the Gulf Stream from South Florida, about a fifty-mile run. Bluefin tuna have come under such worldwide commercial pressure that their numbers dwindled to the point that the tournament faded away with the fish. 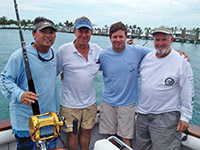 The last Cat Cay Tuna Tournament was held in 1992. The prosperity of the islands dwindled as well, and for many the prestige associated with those times is just a story told by grandparents. The Merritt Family of Merritt Boats and Engine Works has a long history with the tuna fishery and wrote the history of the boats that chased them. Since 1948, when the Merritt Boat Yard was started, the boats that have come out of their yard are known for incredibly high quality and custom features. 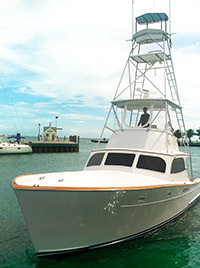 Three generations of the Merritt family are still involved with the building of high-tech, sportfishing boats that are as much pieces of art as they are fishing machines. The same three generations of Merritts are partnered with Costa to bring back the prestigious Cat Cay Tuna Tournament and breathe life back into the islands that gave so much in the past. This pairing of Costa and Merritt has already made history by proving that the bluefin tuna still travel that ancient path and that they can still be caught using the old methods of putting out a single bait and intercepting the tuna’s course. This epic story was chronicled in Costa’s recently released film, Bluefin on the Line, a tale of rich history and colorful people entwined in an attempt to relive the old ways of bluefin fishing. 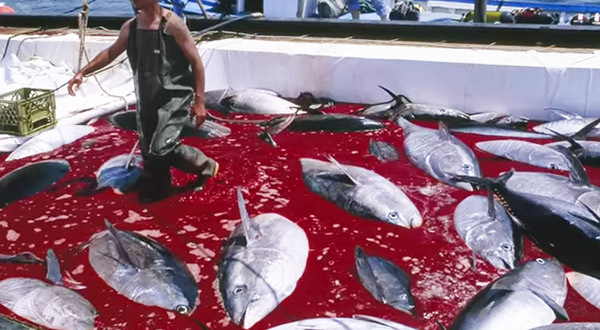 It also focuses on the plight that this tuna faces from the popularity of sushi and the incredible price-per-pound it commands at the market. One of the main differences between the past and now is the realization that the supply of bluefin tuna is not endless. The theme of conservation runs throughout the film and the tournament. Costa has sponsored satellite tags to be placed in tournament fish and a healthy release is imperative. 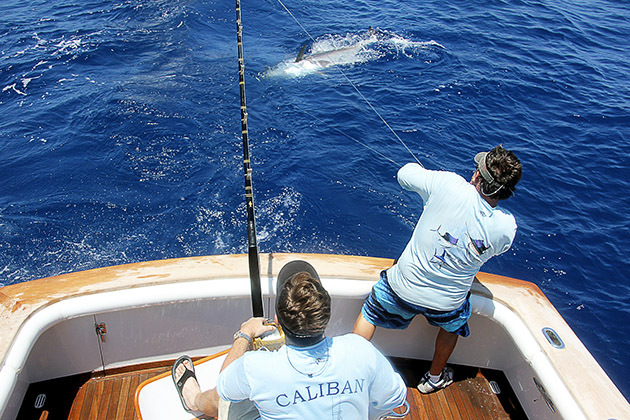 The Cat Cay Tournament is not about big money or prizes, but the hallowed Cat Cay Trophy and the satisfaction of celebrating a time when honor was the code to fish and live by. The tournament will take place on June 4 – 7th and stay tuned for the results, as the BD team will be onboard. Check out Bluefin on the Line and get your copy from Costa.